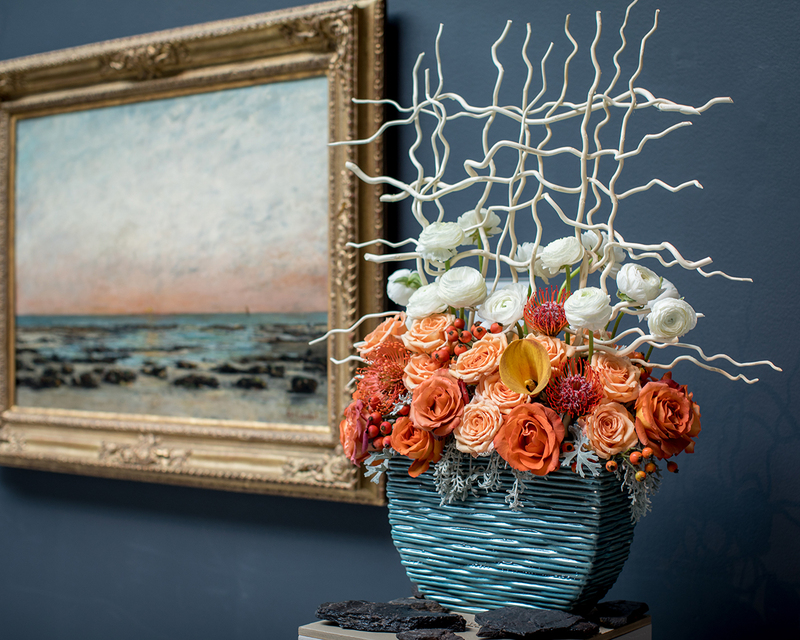 Celebrate spring at the Wadsworth Atheneum’s 38th Annual Fine Art & Flowers! 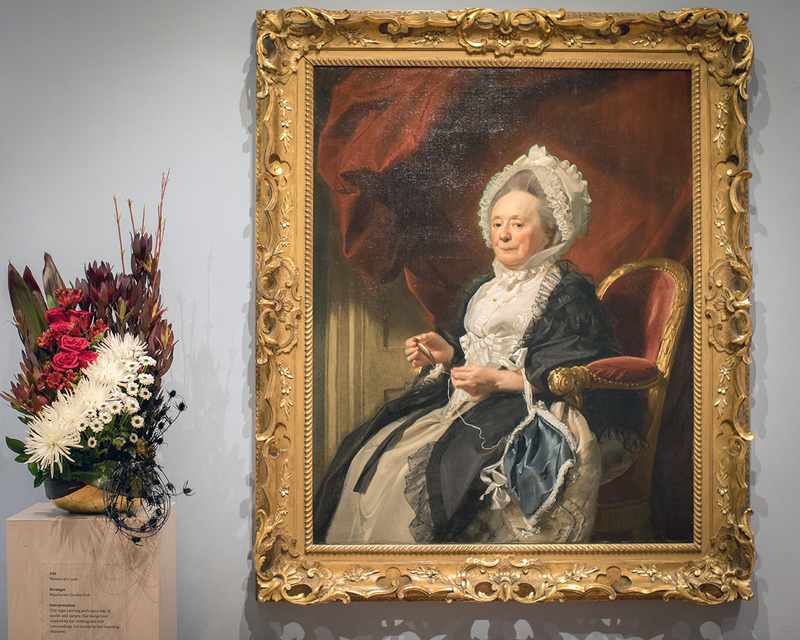 Florists, garden clubs, and interior designers from across New England create floral arrangements and garden designs inspired by masterworks from the museum’s collection to display during this fundraising event. 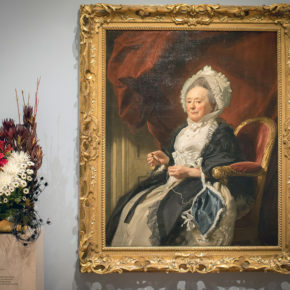 More than 60 exceptional floral designs are expected this year, and will be showcased throughout the museum galleries beside the artworks that inspired them. 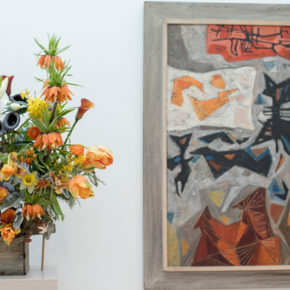 The 38th Annual Fine Art & Flowers is presented by the Women’s Committee of the Wadsworth Atheneum Museum of Art. 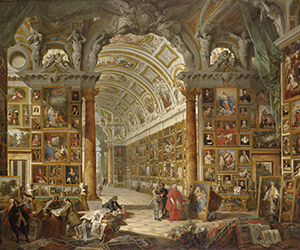 All event proceeds fund exhibitions and educational programs. The prices below reflect a $3 fundraising surcharge that is added to all museum admission fees during Fine Art & Flowers. 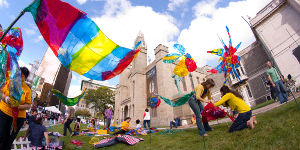 Please Note: The Wadsworth Atheneum usually waives admission fees every Wednesday–Sunday from 4–5 pm. 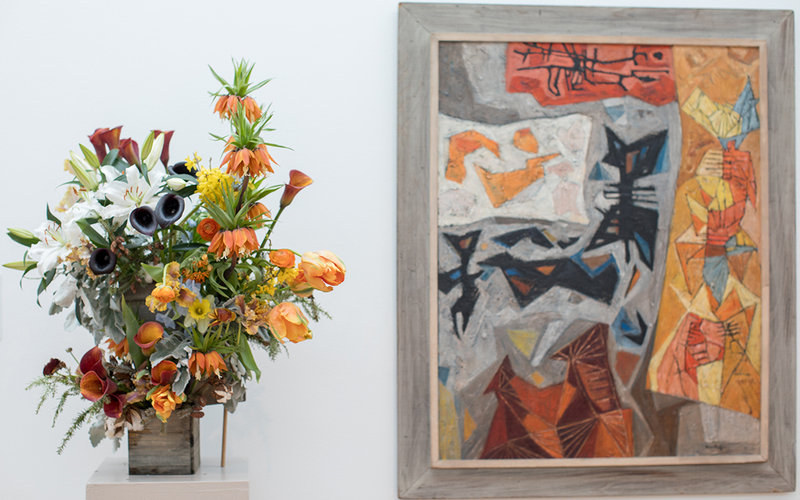 Please note that guests visiting the museum at these times during the Fine Art & Flowers fundraiser will be charged $3 for their admission. Groups of 10 or more will receive a discount by reservation only. To schedule a group visit, call (860) 838-4046. 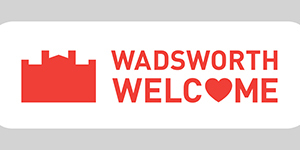 Are you visiting the Wadsworth Atheneum for the first time, or returning after some time away? 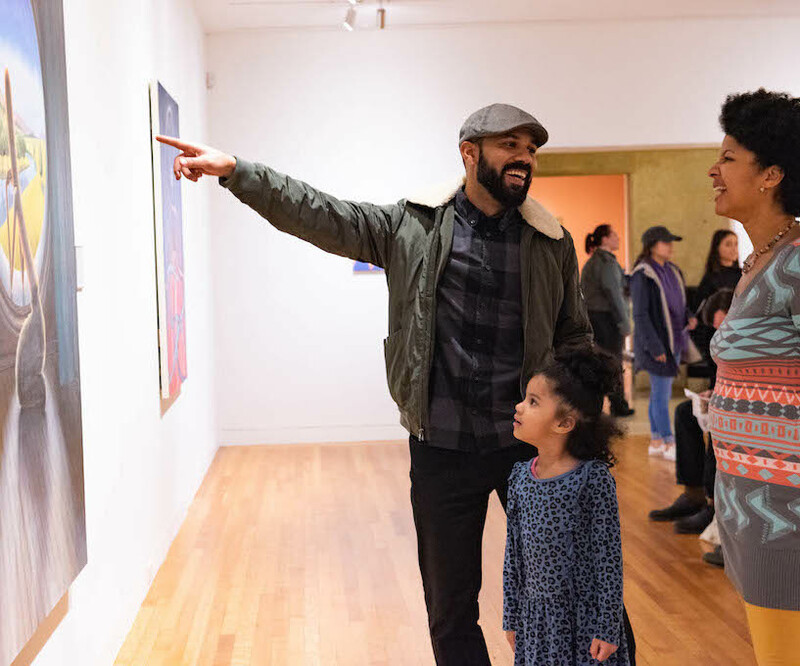 You’ll find lots of helpful information on our Directions & Parking page, and even more tips on our Planning Your Visit page. 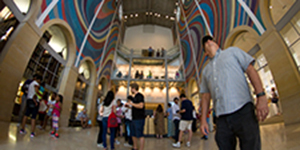 All events take place in Morgan Great Hall unless otherwise noted. 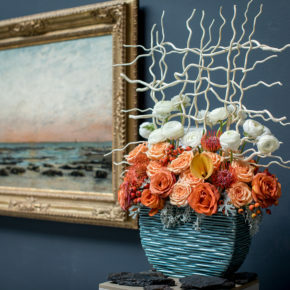 Three floral designers work with identical materials to interpret a single work of art in their own distinct style. Shop a variety of creative goods from local vendors, all weekend long. Located in the Hartford Courant Room, Artisan Boutiques is open during regular museum hours April 26 – 28. Join us for a trip to historic Blithewold Mansion, a 33-acre estate with wide views of Narragansett Bay. The architecture, landscape, horticulture and decorative arts make Blithewold the best preserved example of the Country Place Era in the United States. All of the furnishings in this 1909 historic home are authentic to the period. The china and crystal collection are on display in the butler’s pantry and the third floor is devoted to collections of clothing, jewelry, toys, and photographs. The beautiful grounds offer an exceptional collection of rare and unusual plants, specimen trees, and stonework with the variety of garden spaces all unified by the mansion’s Great Lawn. Weather permitting, a wonderful variety of Tulips, Lilac bushes, and Magnolia, Crabapple, and Cherry Trees will be blooming in mid May. Following our guided tours of the house and gardens we will enjoy a private early afternoon tea on the property’s covered porch. The menu will feature a variety of sweet and savory scones, as well as sandwiches, a savory quiche, fruit tarts and cupcakes for dessert. After our tea we will head to Portsmouth’s Green Animals Topiary Garden. Green Animals is the oldest and most northern topiary garden in the United States. The small country estate is home to 80 pieces of topiary. The designs include animals, birds, geometric figures, and ornamental designs all sculpted from California privet, yews, and English boxwood. This hidden gem is perfect for relaxing strolls and beautiful views of Narragansett Bay. $130; $120 members. Includes transportation, admissions, guided tour, lunch, and gratuities.